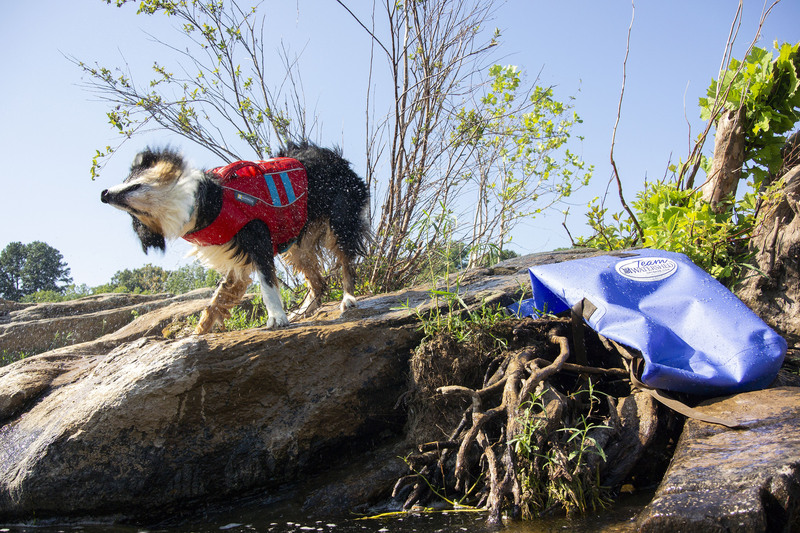 Guest Blog Post by Team Watershed Member, Maria Christina Schultz aka @sup_with_pup. Their heads snap back, ears perked up, and two wet noses fight for the first sniff. To them it’s an unmistakable sound – the popping of the airtight seal, then the release of air containing the scents of all the contents inside. A Honey Stinger, Red Barn beef flavored rolled food, and of course two Ruffwear water toys with their god awful slobbery wet dog saliva smell. All together it’s the scent of endless summer nights playing fetch on the sand bars of the Rappahannock River. 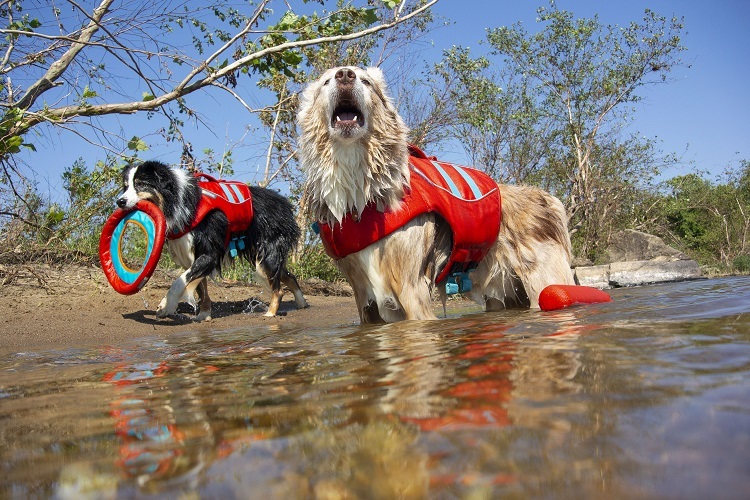 My Australian Shepherds, or river rats, Riley and Kona love nothing more than our evening paddles and all things water. Our sand bar play sessions have been a tradition of summer for the last six years. As I look back over the years there are two things that have remained constant about these outings. One: Tons of barking, splashing, and sand everywhere! 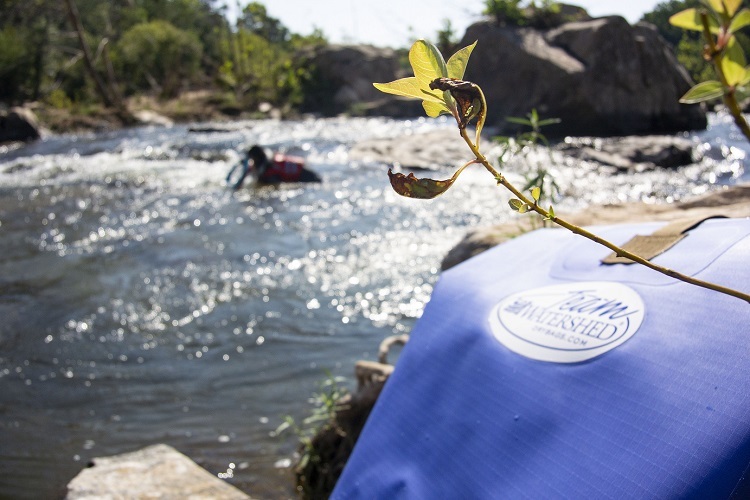 Two: My Watershed bags have always been with us to protect our essential gear from the chaos. 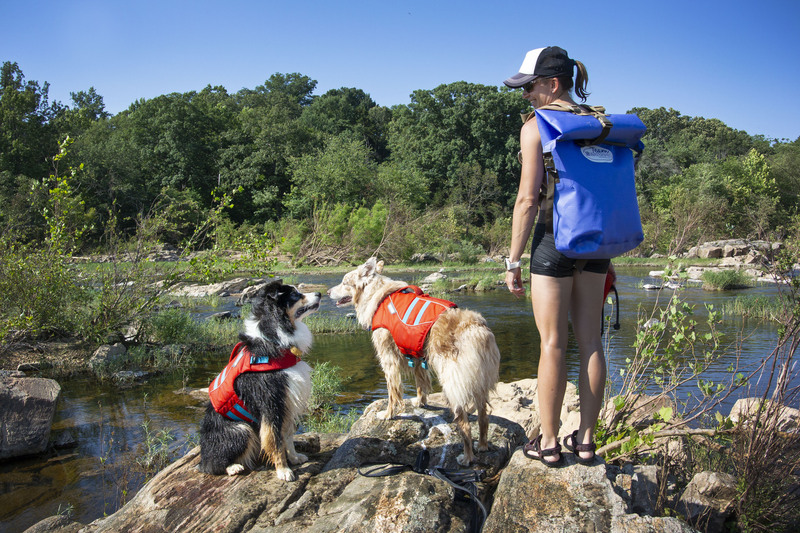 Hydroflask & Ruffwear Water Bowl – because we all need fresh water. First Aid Kit – anything can happen and it’s better to be prepared! Knife – we’ve run into more fishing line than we should have. Carabiner – because you need to attach your bag to the bungee straps! Snacks – I naturally have low blood sugar. 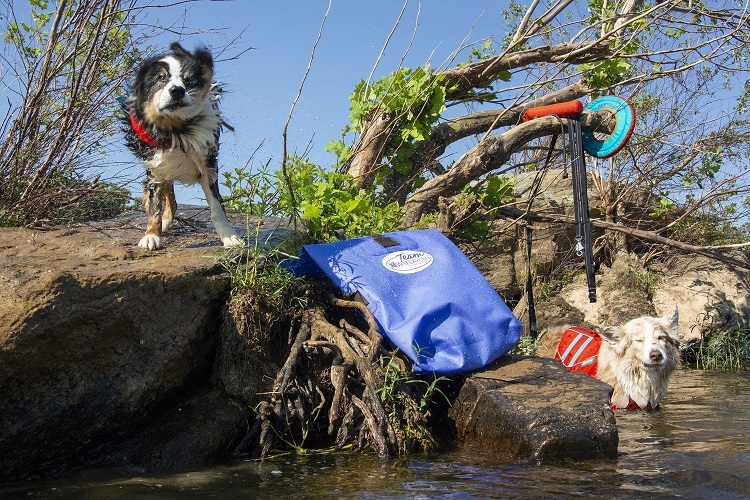 Smaller dry bag – here’s my best tip: my dogs have come to learn that bags usually carry toys and treats and from time to time they decide to put a wet nose inside or knock the bag into the river. That smaller bag protects the two most important things – my cell phone in case I needed to call for help, and the car keys to get us home! I also almost always have a camera with me. Two of my cameras are waterproof, but my favorite Sony isn’t. When I take the Sony out with me, I never worry about it in this bag! Oh, and treats for the dogs, I’m constantly training, and rewarding good behavior, and also because sometimes bribery works when I need them to look at the camera! What do you keep in your drybag?